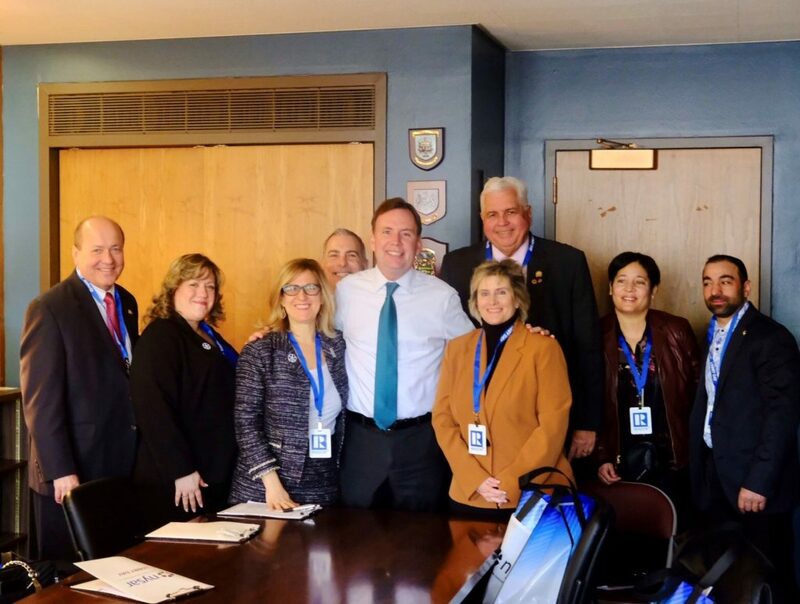 STATEN ISLAND, N.Y. – Representatives of the Staten Island Board of Realtors® (SIBOR) were among more than 270 REALTORS® from across New York state who gathered in Albany in late March to highlight important real estate-related issues. 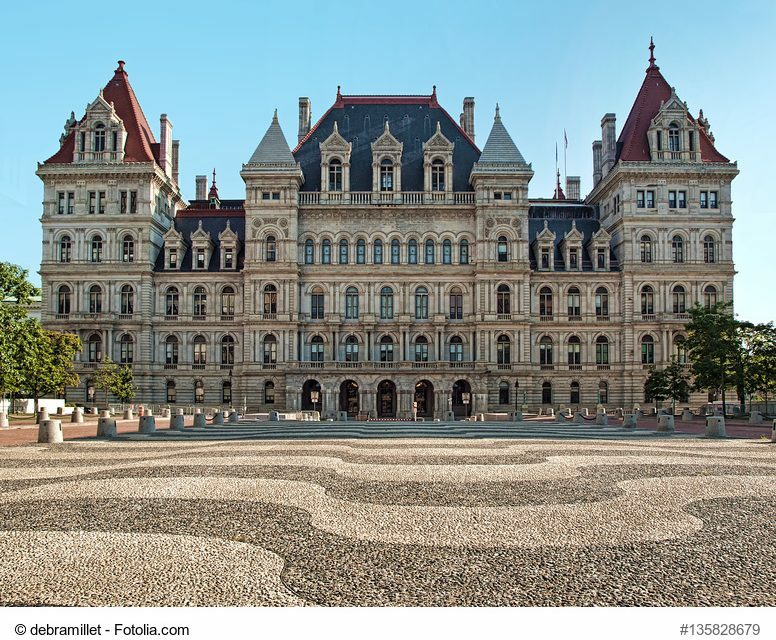 The Realtors® were there to ask state senators and Assembly members to support initiatives that are vital to the industry and to Empire State buyers, sellers and renters. SIBOR members meet with New York State Assemblyman Michael Cusick, center, in Albany. Among the Island Realtors were SIBOR CEO Sandy Krueger; Phyllis Cangro, a SIBOR director; SIBOR past presidents Greg Sokol; John Vernazza; George K. Wonica; Dawn Carpenter, who is also the immediate past-president of the New York State Association of Realtors (NYSAR), and others. During the Albany visit, SIBOR members met with State Sen. Diane J. Savino; Assemblywoman Nicole Malliotakis, and Assemblyman Michael Cusick to discuss are variety of matters, such as the NY First Home bill. SIBOR representatives praised the lawmakers for backing of the bill and requested their continued support. The NYSAR-supported NY First Home legislation was designed to create a first-time home buyer savings account in New York; the bill passed the State Senate and Assembly in June 2017 and was approved by Governor Cuomo in December 2017. However, in Governor Cuomo’s approval memo of the legislation, he noted that due to fiscal and technical concerns, and rather than vetoing the bill, he would submit a chapter amendment that would repeal the approved law and replace it with language requiring the Division of Housing and Community Renewal to issue a feasibility and economic impact study before June 30, 2018. NYSAR continues to strongly support the creation of a New York State first-time homebuyer savings account that provides for a state income tax deduction/subtraction of up to $5,000 per year ($10,000 per year for couples) to help New Yorkers save for the purchase of a first home. NYSAR will continue to work with legislators and state agencies to advance the program and introduce new legislation to fully implement a first-time homebuyer savings account. Staten Island Chamber of Commerce: Let us help you rebuild!